For over 20 years, Ms Swensen has helped a broad range of organizations, including educational institutions, public agencies, nonprofit organizations, and public health-focused community coalitions, achieve and sustain excellence. She is an experienced management consultant skilled in strategic planning, organizational development, leadership development, and human resources management models and strategies. Ms. Swensen has also facilitated complex, multi-sector planning processes for educational, organizational, and public health improvement initiatives nationwide. 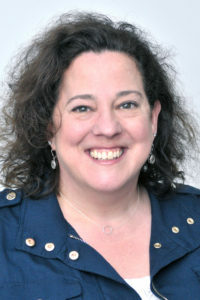 Ms. Swensen is a consultant offering technical assistance services to MassHealth Accountable Care Organizations and Community Partners through the DSRIP program, and leads in the Performance Improvement domain. Prior to joining HRiA, Ms. Swensen was Co-Director of the Western Pennsylvania Educational Leadership Initiative, a program at the University of Pittsburgh School of Education designed to enhance leadership skills and practices among a cohort of 17 school districts. Ms. Swensen has a Master of Business Administration, with a concentration in Management and Human Resources, from the University of Wisconsin-Madison. She received a Bachelor of Arts with Highest Distinction, and is a member of Phi Beta Kappa, from the University of Michigan-Ann Arbor.